Enterprise Resource Planning is a cemented technology in the IT industry. From the 1960s to 2000s, ERPs in Australia and around the world have evolved from expensive & traditional on-premise systems that were overly difficult to deploy, to more flexible out-of-the-box solutions hosted in the cloud. The technology has advanced from Material Requirements Planning (MRP) systems in 1970s, MRP II of 1980s, to ERP in late 1990s. Since the 1990’s, ERP systems in Australia (and globally) have advanced to incorporate more synchronized features. These include services such as advanced planning and scheduling solutions (APS), supply chain management (SCM), and customer relationship management (CRM). When deployed successfully these systems are of enormous benefit to large organizations, however convenient and inexpensive ERP solutions were not readily available to small and medium businesses until the mid-late 2000s (Sledgianowski, Tafti and Kierstead, 2008). 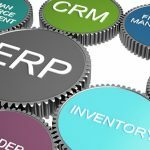 With the introduction of cloud and SaaS technologies, solutions such as ERPNext are offering SMEs the same benefits ERP software has granted large organizations for years – and at a reasonable cost. Such benefits include efficient chain supply management, reduced administration costs, fast implementation, flexibility and scalability. 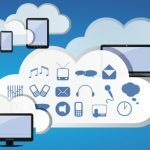 However, cloud-based ERPs not only share many of the same limitations seen in the traditional variety, they are also perceived as having a greater security risk to the organization. This report investigates a fork (and rapidly growing trend) in the current market known as cloud-based ERP, with a specific focus on the open-source variety. Its evolution, benefits and system implementation challenges will be explored, as well as the associated risks, and future prospects of the software. ERPNext, an open-source cloud-based enterprise resource planning software manufactured by Web Notes Technologies, has been specifically selected as a test case to demonstrate the features of this technology. This is due to its current position in the market as one of the latest cloud ERP package released to the public, and also due to its focus on SME requirements. The software comes as an alternative to commercial offerings from QAD, NetSuite and SAP’s Business ByDesign, as well as open-source equivalents WebERP and Odoo.